Skillet Enchiladas are a super quick and delicious meal that you can have on the table in about 20 minutes. 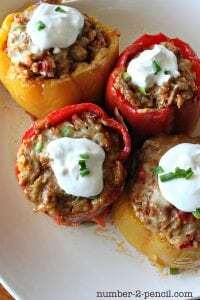 This recipe is one of our go-to recipes and works with ground beef, ground turkey and even leftover shredded chicken or pork. It has all the flavor of enchiladas, but cuts out the lengthy prep! Skillet Enchiladas are the perfect meal for busy weeknights. Cut a dozen corn tortillas into bite size pieces. Heat vegetable oil in skillet on med high heat and pan fry tortillas until slightly toasted and lightly crispy. Remove from pan and brown onions and ground beef in same skillet until ground beef is completely cooked. Add large can of enchilada sauce and simmer for a few minutes. Then add tortillas back into pan and stir. 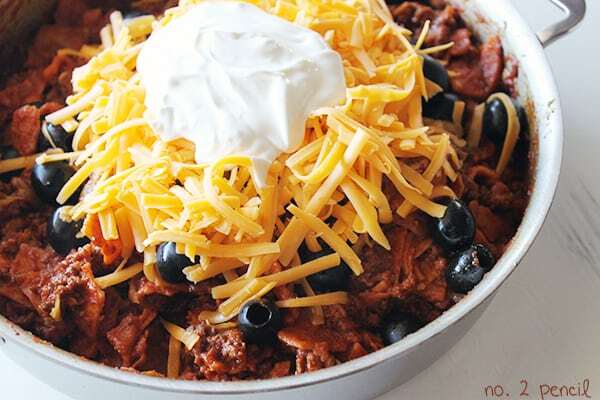 Top with black olives, shredded cheese and sour cream. Try substituting ground turkey, reduced fat cheese and sour cream for a lightened up version of Skillet Enchiladas.. I think this is the quickest meal I’ve ever made, and who doesn’t love that! It’s great as leftovers as well. 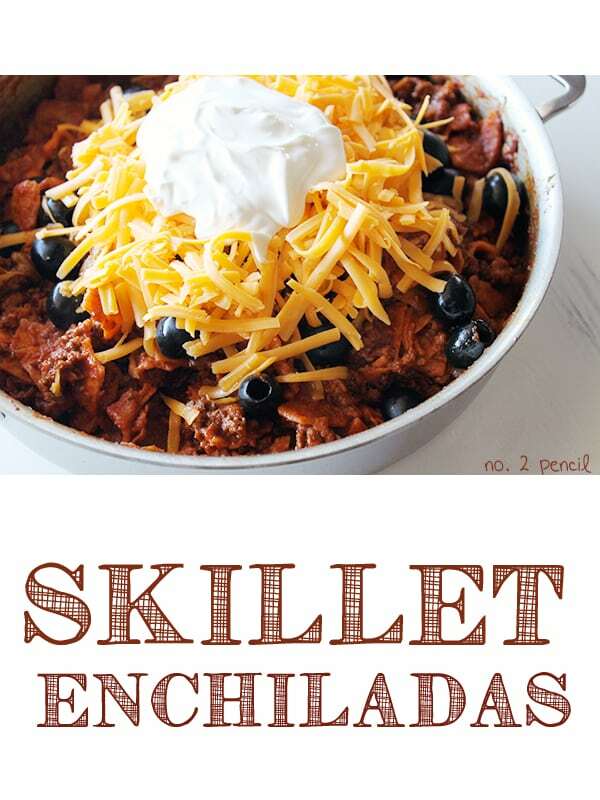 Skillet Enchiladas are a quick meal, perfect for busy weeknights! Cut a dozen corn tortillas into bite size pieces. Heat vegetable oil in skillet on med high heat and pan fry tortillas until slightly toasted and lightly crispy. Remove from pan and brown onions and ground beef in same skillet, seasoning ground beef to taste, until ground beef is completely cooked and onions are softened. Add large can of enchilada sauce and simmer for a few minutes. Then add tortillas back into pan and stir. do you drain the beef before adding the enchilada sauce? This looks so easy and deliciously satisfying, wonderful pictures. Oh Yum!!! This looks great, totally pinned it will be making it soon! Thanks girl! 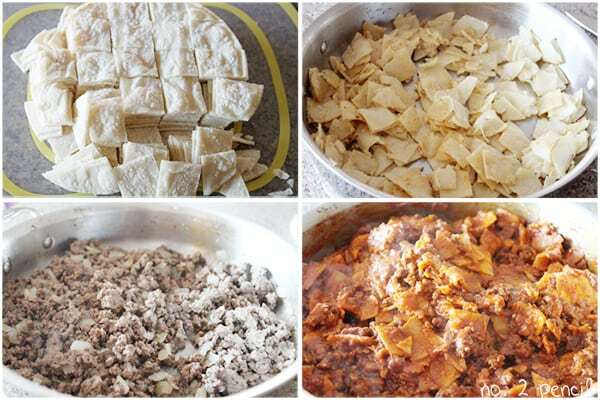 Enchiladas are the whole tortilla, pieced tortillas with sauce, aky kind of meat and sour cream are chilaquiles. 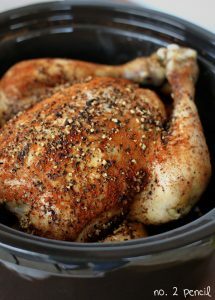 Making this for dinner tonight with shredded chicken instead of beef….looking forward to eating it already! I love Mexican food and this puts a fun little spin on it! Bet the kiddos would love it! These look FANTASTIC!! Love that they’re made in a skillet…my kind of TexMex! I love easy skillet dinners! This sounds great!!! Oh, what a great idea! I love homemade enchilladas but it’s such a pain to make them. I made this tonight with just a few of my own twists: I used cubed chicken instead of beef, and added to that onion, cumin, chili powder, chives, and a chopped red bell pepper. When finished I topped with cheddar jack cheese and sour cream, yum! Sound delicious! Thanks for sharing! BRILLIANT! I am so trying this! My family loves this. I put in a can of refried beans when we have them just to make it a little thicker and to go a little farther. The leftovers are almost even better! I love enchiladas but making them are so messy. This is PERFECT! I have to admit that I was a little bit skeptical about this recipe, mostly because I was concerned about ending up with soggy corn tortillas in the mix when we ate the leftovers (I cook all of our food for the following week over the weekend). This was not a problem AT ALL. The tortillas ended up being chewy and delicious (just like they would be with an enchilada). I did modify slightly–I used green chili enchilada sauce (because I’m 32 weeks pregnant, and anything red gives me debilitating heartburn at this juncture =)), added 1 T garlic powder & 1 T cumin, a can of drained black beans, and a cup of frozen corn. I made this tonight with ground turkey and added a can of spicy refried beans. So easy and so delicious, can’t wait for the leftovers for lunch tomorrow. Thanks for sharing the recipe. Sounds great! Thank you for sharing!!! I make my enchiladas using flour shells. Would they also work in this recipe? I also use green onion. They have such a great flavor to them. For years I have made this in the crock pot and just cut up the flour shells into bite size pieces. Did not fry them at all and that works really well. A big hit at family functions. I haven’t tried flour tortillas in this recipe. Let us know if you do. Thanks! Holy cow, am I the only one who made the mistake of getting medium red enchilada sauce?! I think I found the spiciest “medium” ever and could hardly eat the dish (Raley’s store brand). My husband was drenched in sweat and said he felt like he was on Man Versus Food haha. I’ll be adding shredded lettuce, tomatoes, etc to the left overs. Delicious otherwise and will definitely make it again with a mild sauce! Loved this! Added 1/2 can black beans, and used a 19oz can of enchilada sauce. Thanks for the recipe! We love this recipe !! My husband loves the taste (me too), but even more I love the convenience. This is going to make the meal rotation on a regular basis. That’s so great! Thank you! This is brilliant! A true “one pot wonder” as I like calling them 🙂 The taste of enchiladas without the hassle of assembly. I am making this for my family tonight. Thanks a million! There’s actually a name for these “Skillet Enchiladas” and it’s Chilequiles. These are sooo good, thanks for the recipe! Easy and the whole family likes it!! I have a large family and of course have a hard time making meals that each individual person likes. This was a big hit! I’ll definitely be adding this to my regular dinner menu! Thank you!